ESTECO is one of the exhibitors of the CAE Forum, taking place in the framework of the Hannover Messe, 1-5 April, 2019. ESTECO experts are available at booth L46 in Hall 6. 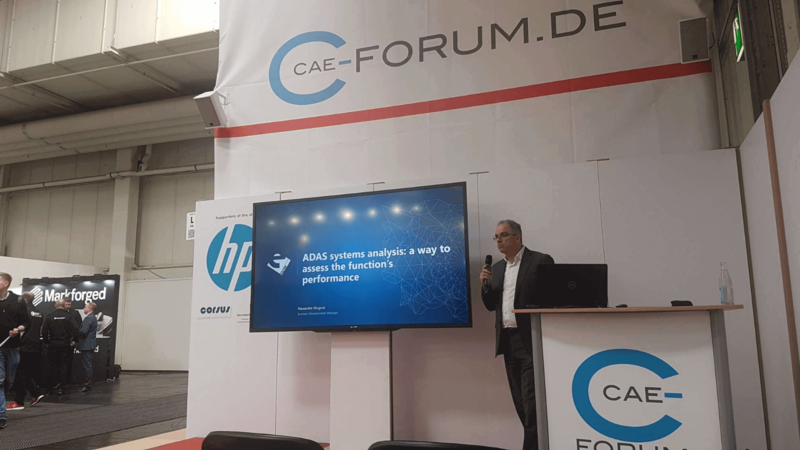 During the Forum, ESTECO's Alexandre Mugnai will present 'CAE Process Automation and optimization' and 'ADAS system analysis: a way to assess the function's performance'. CAE-FORUM is the communication and networking platform for experts in engineering. It enables cross-border discussions and information exchange. Hannover Messe, the world’s largest industrial trade fair, where you will find the full range of technical innovations throughout the whole value chain – from automation to supplier solutions. All key technologies and core areas of the industry – from research and development, industrial automation, IT, industrial supply, production technologies and services to energy and mobility technologies – can be found in this huge conference.